The Snežnik Castle is one of the best preserved castles of the Notranjska region. 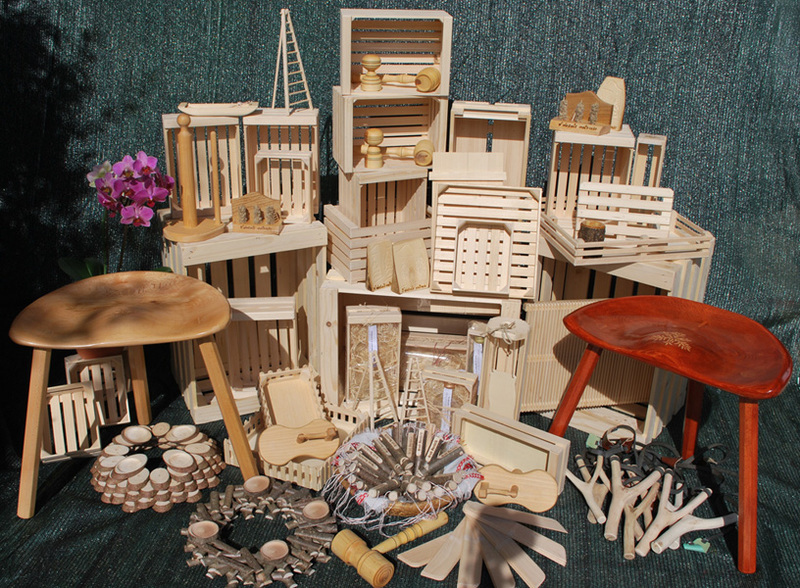 The 19th century interior furniture is in good condition. 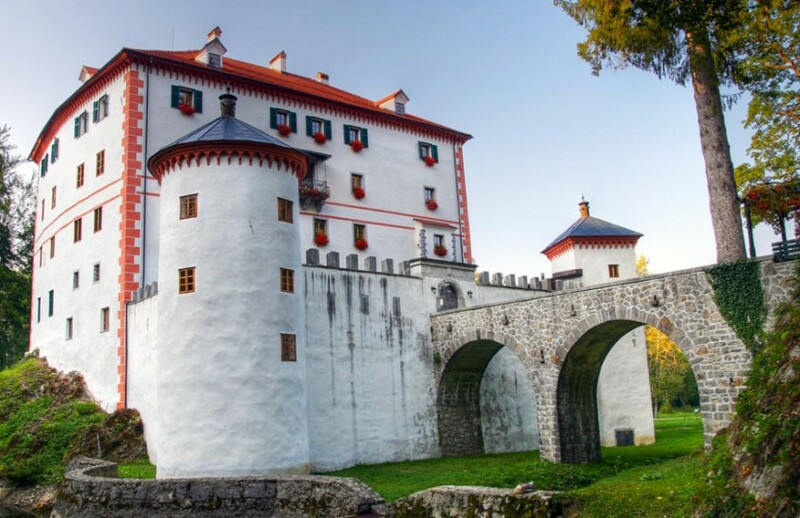 The Snežnik castle is unique in Slovenia because it conjures up the memories of the late 19th century and the 20th century. 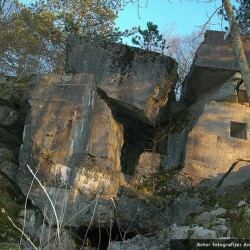 The castle is built on a rock at the source of the River Obrh and the Brezno spring. Underneath the castle there is a dammed pond. 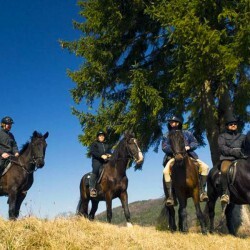 The picturesque surroundings have been rearranged into a park with walking and equestrian trails. 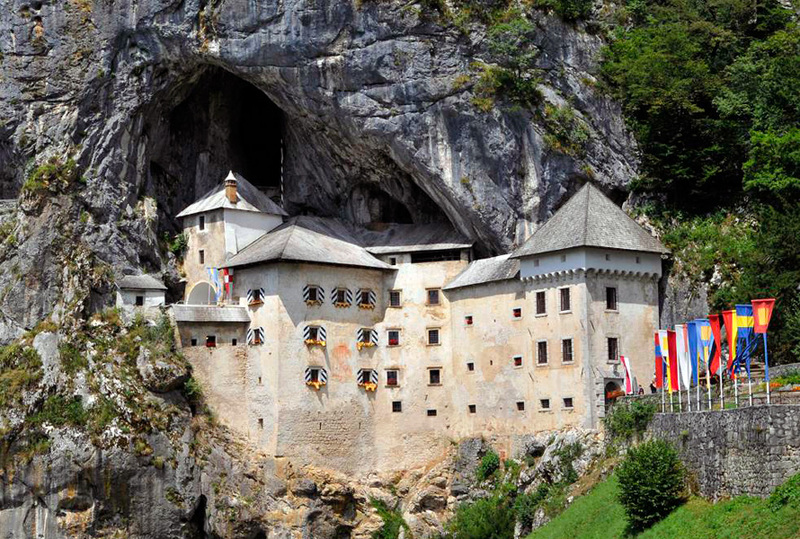 The Predjama Castle built within a cave mouth 700 years ago is in wonderful harmony with the surroundings. The castle became known as the seat of the renowned robber Erazem Lueger. Visitors have the opportunity to learn about the history of the castle. The living areas fully refurbished in the old style, the chapel and the dungeon are a must see. The weapon collection, the oil paintings and the Pietà dating from 1420 are also worth visiting. 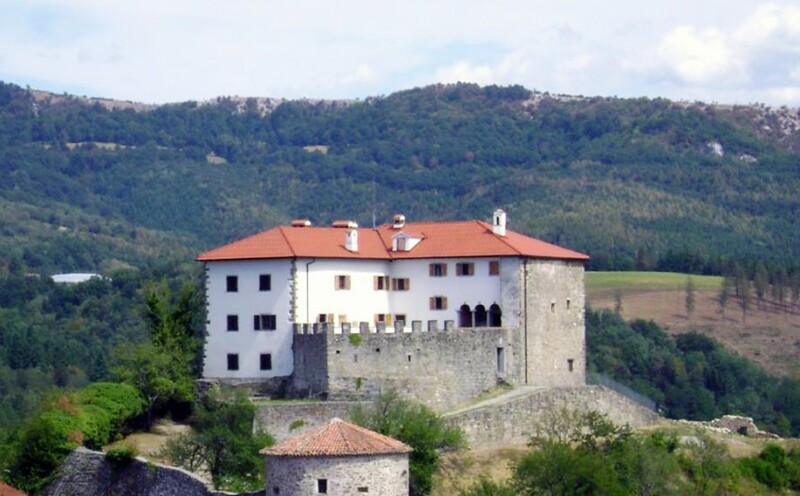 The Prem Castle is situated above the village Prem, about 9km from Ilirska Bistrica. The L-shaped two-storey building dating from 1213 includes a Romanesque core with an extension and a walled courtyard. The inner courtyard was decorated with Renaissance arcades. A small well adorns the courtyard. The castle is also a popular wedding location. 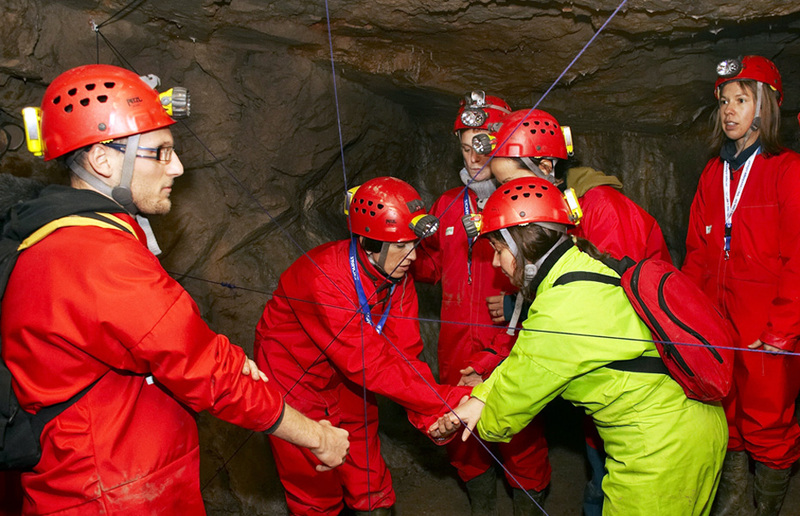 Over approximately 200 years the 20km long cave system composed of passages, galleries, and chambers has been visited by over 33 million tourist accompanied by experienced tour guides. The Postojna Cave is one of the world’s largest karst monument and the most visited cave in Europe. 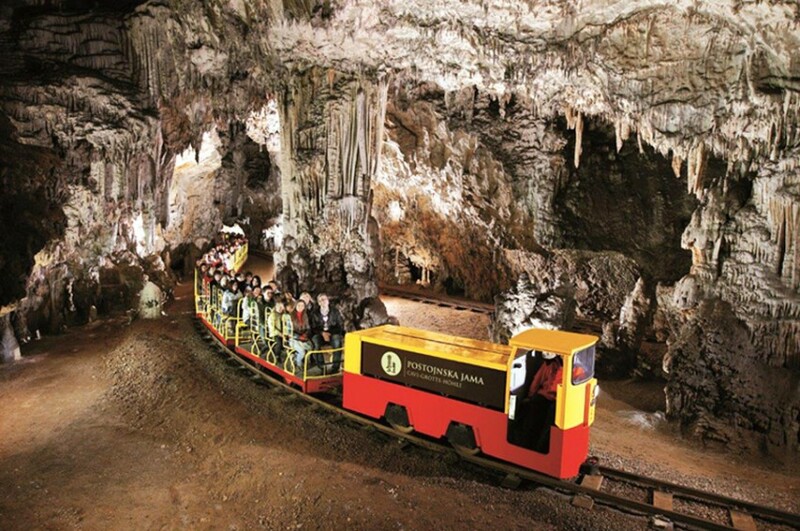 In 1872 railway tracks were laid in the cave and in 1884 electrical wiring was installed. 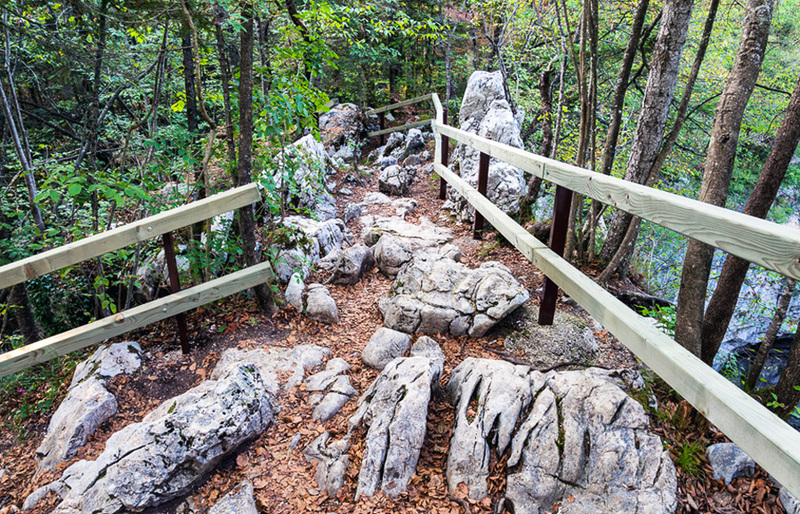 The cave is easily accessible, there are no stairs or steep inclines. Part of the cave is viewed from the train, and the rest of the cave is explored on foot. 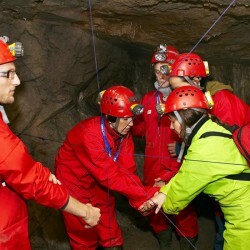 The Postojna Cave is considered the cradle of speleology. The cave’s most famous inhabitant it’s the olm or the human fish (Proteus anguinus). 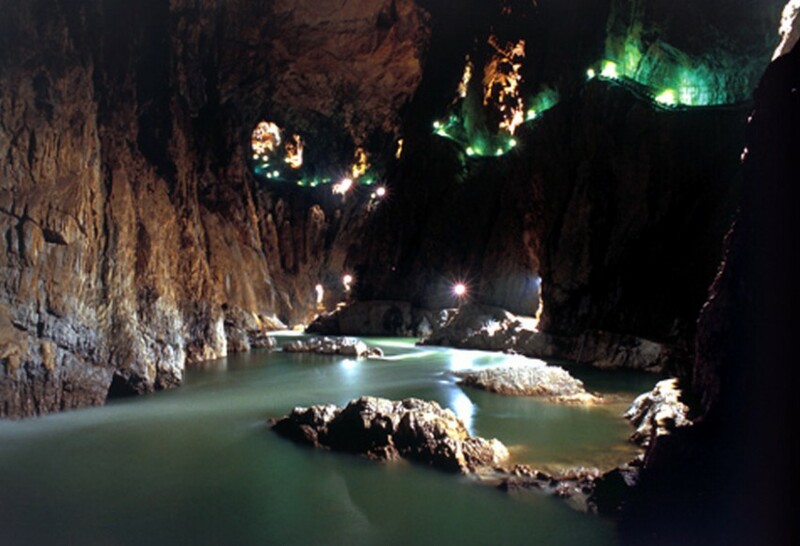 Due to their exceptional significance, the Škocjan Caves were entered on UNESCO’s list of natural and cultural world heritage sites in 1986 and on the Ramsar List of Wetlands of International Importance in 1999. 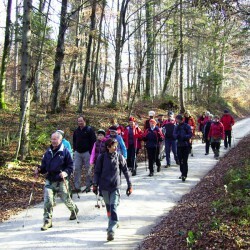 In 2004 they were included in the UNESCO – MAB World Network of Biosphere Reserves under the name of the Karst Biosphere Reserve. Impressing colorful stalactites are the cave’s treasure. The Reka River flows through the Škocjan Caves and forms their interior. 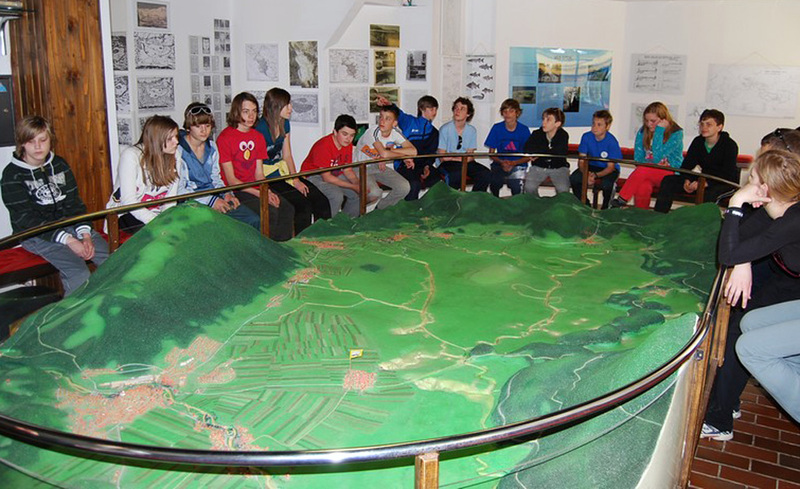 At the Interpretation Centre visitors have the opportunity to examine a working model of Lake Cerknica showing how the underground hydrological system actually works. 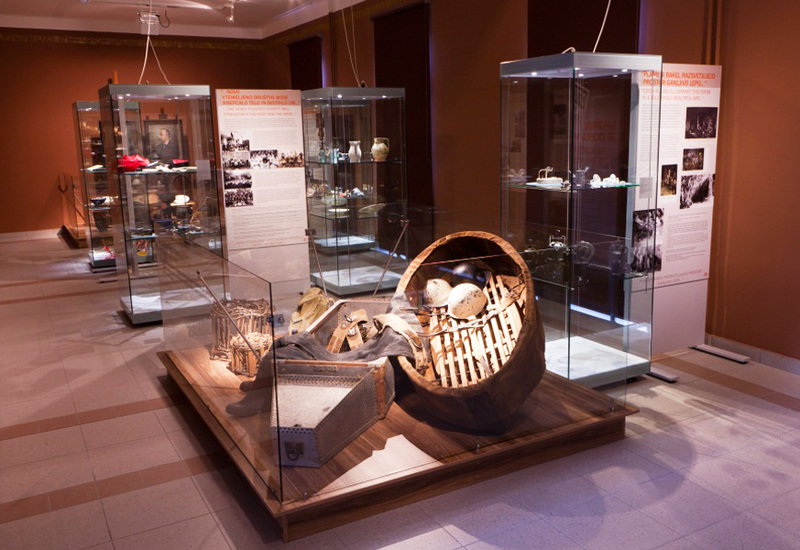 The ethnological collection displays traditional fishing accessories, old wooden ice skates, a dugout, and tools used for cutting and storing ice. 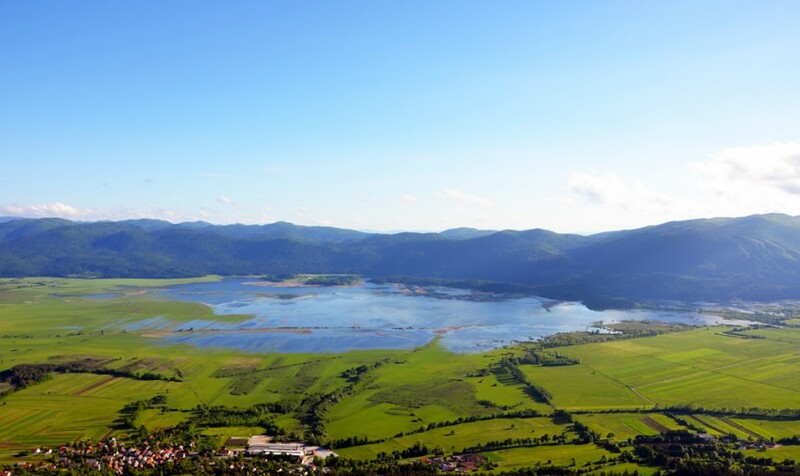 The half-hour multimedia presentation explains how the intermittent Lake Cerknica works and changes throughout the seasons. 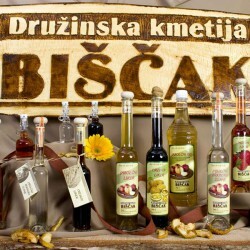 The Hunting Collection and the Dormouse Museum are located in the Lož Valley near the Snežnik Castle. 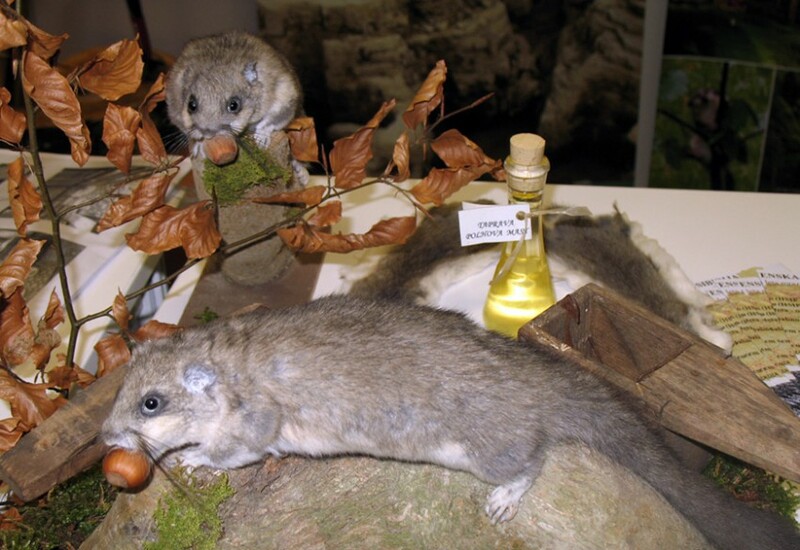 The Hunting Collection includes trophies of wild animals that reside in the Snežnik-Javornik mountain range and in the area around the Lake Cerknica.The peculiarities of dormouse hunting and its economic and nutritional importance in the past and today are described in the Dormouse Museum. 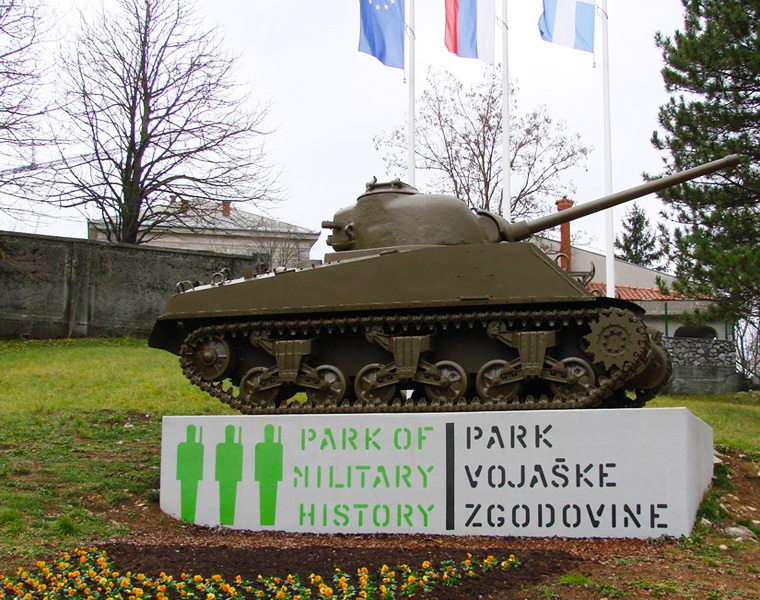 The Park of Military History Pivka includes an artillery collection with tanks, armoured cars, armoured transport vehicles, motor carriages, special amphibious vehicles, and air transport combat vehicles. 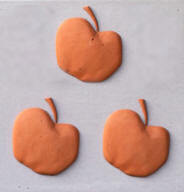 Several interesting permanent collections are displayed. 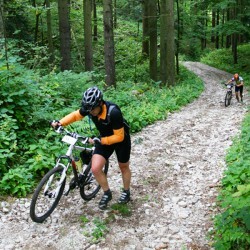 Hikers or cyclists can set out on a Circular Trail of Military History or take the path toward the underground fort of the Alpine Wall. The P-913 Zeta submarine is the newest museum’s acquisition. Visitors can access to the interior of the submarine. 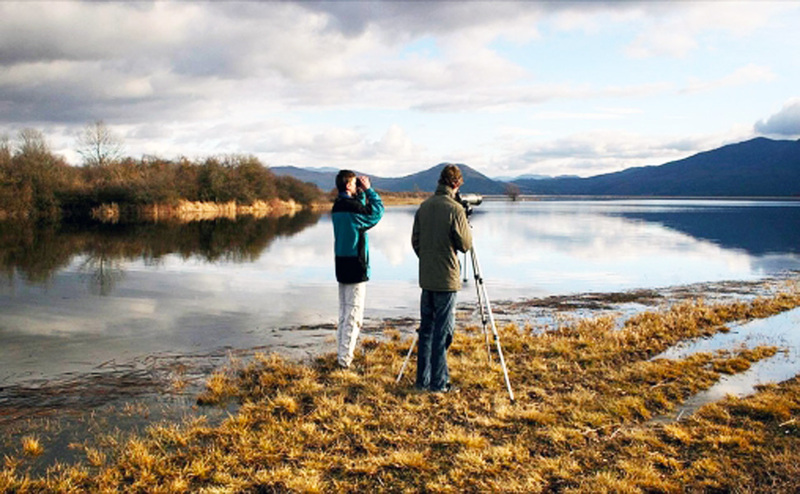 The Eco-museum of Pivka presents the phenomenon of intermittent lakes in the area of the Slovene Karst – the upper Pivka Basin. Fluctuations of the Karst groundwater levels are caused by a unique geological structure in the area and the unevenly distributed rainfall. When the water levels are high there are as many as seventeen intermittent lakes in the valley. The museum explains how the lakes were formed. It also presents how the difference in the amount of water affects the everyday life of local people. 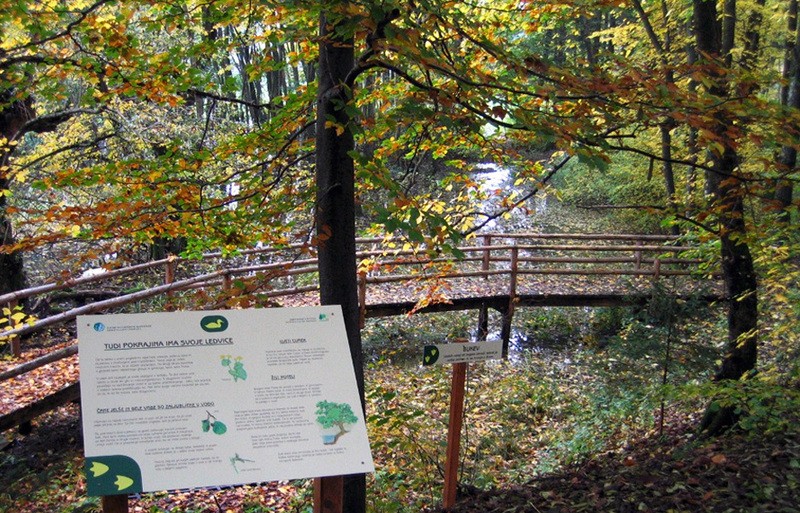 Models of the most important living environments (wet and dry meadows, scrub land, forests and caves) are accompanied by the presentation of the Pivka Basin flora and fauna. 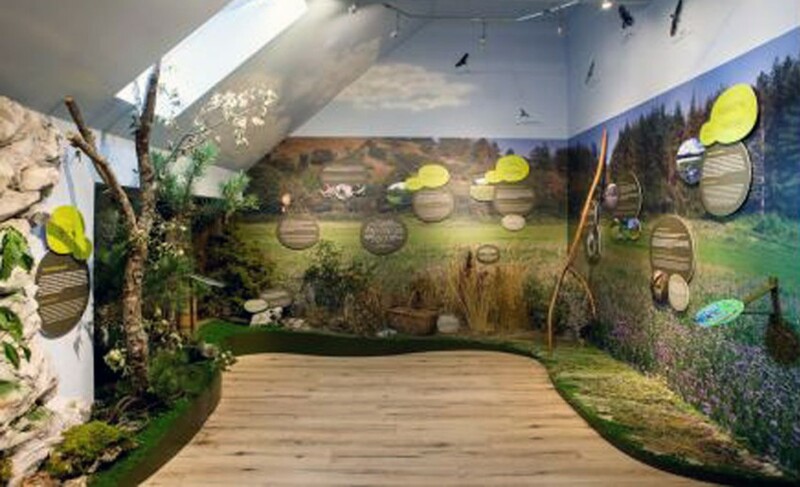 The new building of the Notranjska Museum presents a broader overview of the Inner-Karst region historical, cultural and natural heritage. Many temporary exhibitions are displayed: Memory reigns in the museum, Multimedia presentation of the olm, Life in the underworld and Photos of Eternal Darkness – the Postojna Cave. 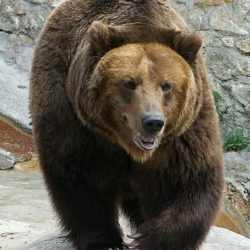 A stuffed brown bear and a cave bear skeleton are displayed on the ground floor. 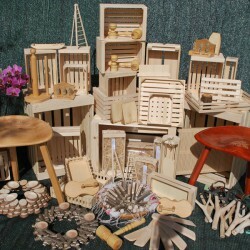 By 2015 a permanent exhibition about karst and karstology will be opened. The Lake Cerknica is the largest Slovene intermittent lake and it’s known throughout the world. 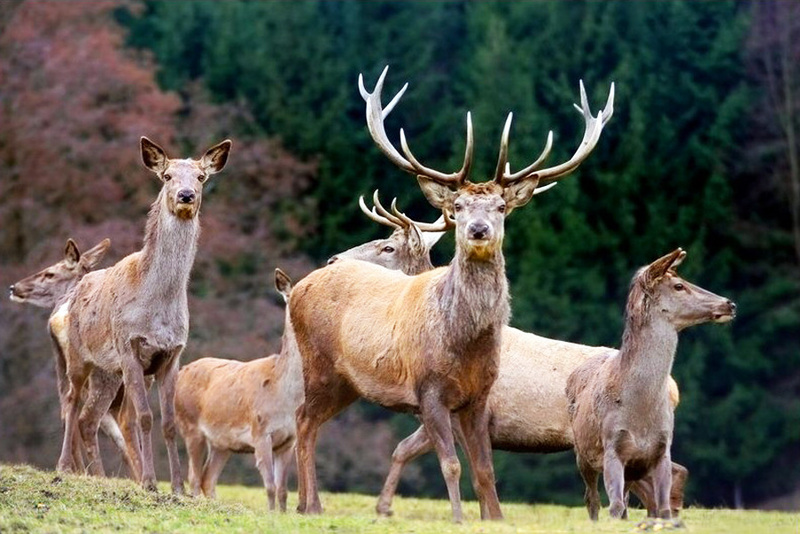 Visitors are charmed by numerous natural phenomena and diverse flora and fauna. 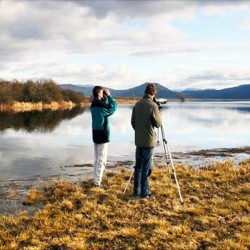 A vast variety of bird species can be found in the area. 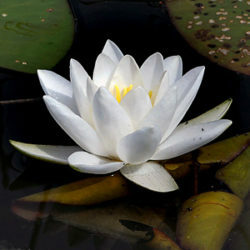 During heavy spring rains the lake becomes filled. 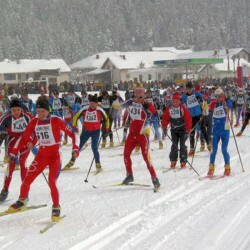 In this period different sport activities and fishing are possible. 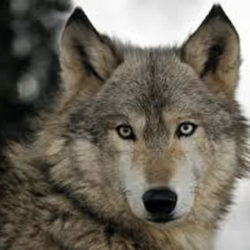 The area of the lake mainly reaches 26km2, but can reach up to 38km2. 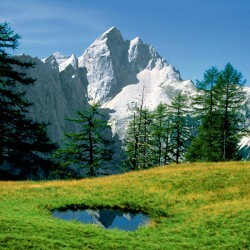 In the rainy season it is 10,5km long and 4,5km broad and is the largest Slovene lake. 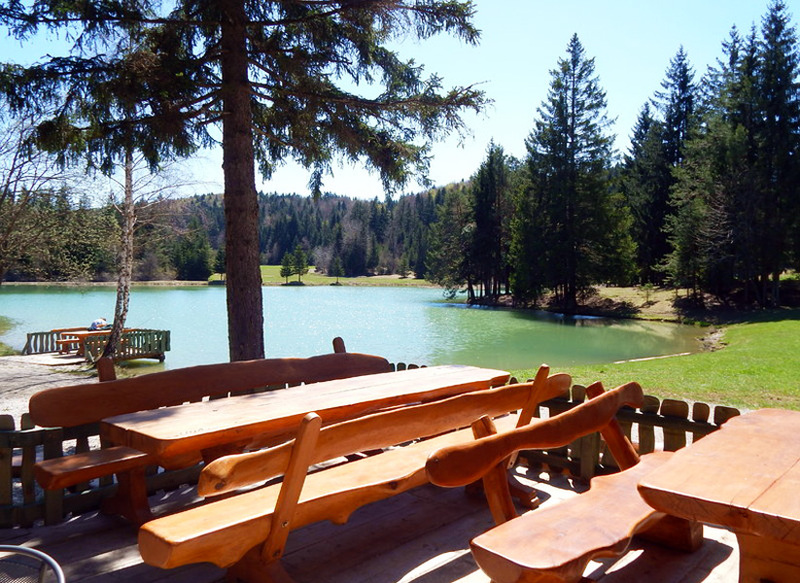 The locals of the Volčje village have tidied the surroundings of Lake Bloke. In the summer the lake is a paradise for swimmers, in winter its frozen surface is irresistible to ice skaters. Throughout the year fishermen can be seen dipping their baits into the lake that is home to carp, trout, and common rudd. 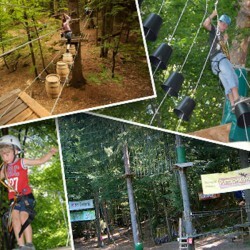 Visitors are charmed by the beautiful and pleasant surroundings, warm lake water, and shallow marshes. The Babno Plain is situated in the Lož Valley. The eponyomus settlement is situated in a shady location with extremely cold weather; due to the closed position of the basin winters are harsh. 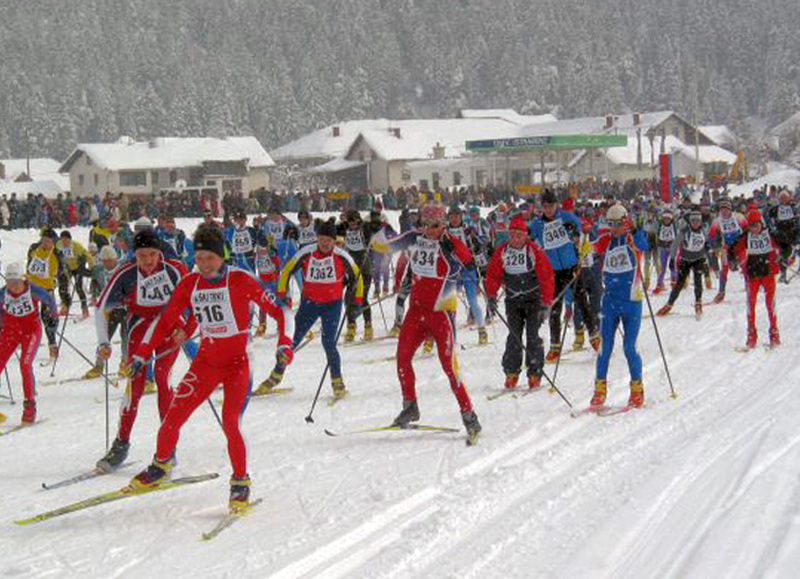 The Babno polje is also called “the Slovene Siberia”. In 2005 the lowest temperature in Slovenia (-35°C) was recorded in Babno Polje due to a temperature inversion. Temperatures are low even in summer. 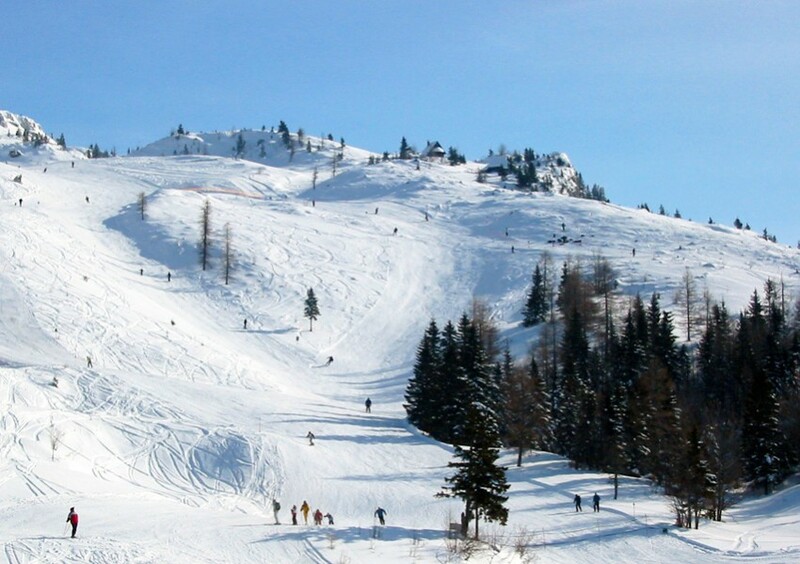 The temperature of -2.4°C was measured in Babno Polje in July that is considered the warmest month. 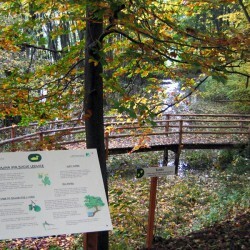 The River Rak flows through the 3-km long karst valley Rakov Škocjan. 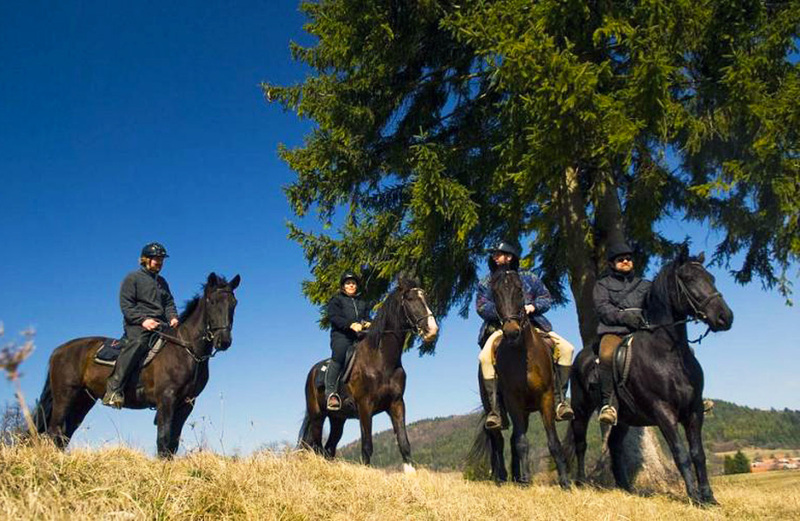 It is located between Lake Cerknica and the Planina Plain, South East of the A1 motorway section Postojna-Unec. 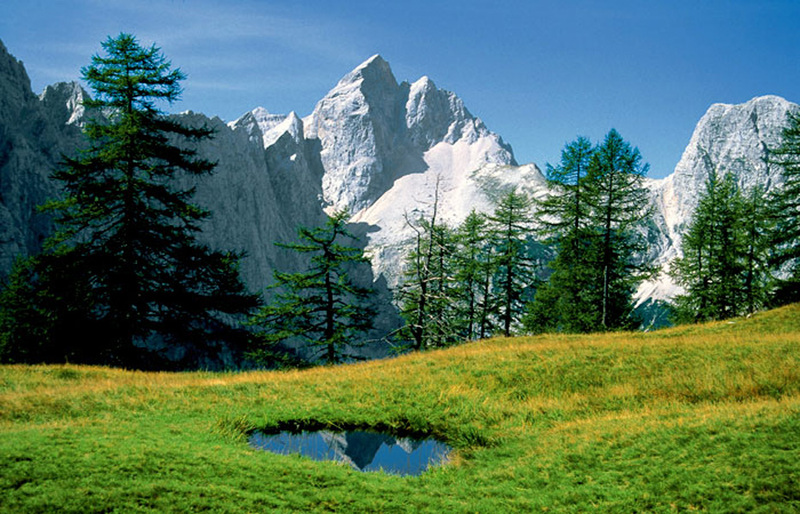 The valley was named after the Church of St. Cantianus dating from 15-16th century. Church ruins are situated in the proximity of the Big Natural Bridge. 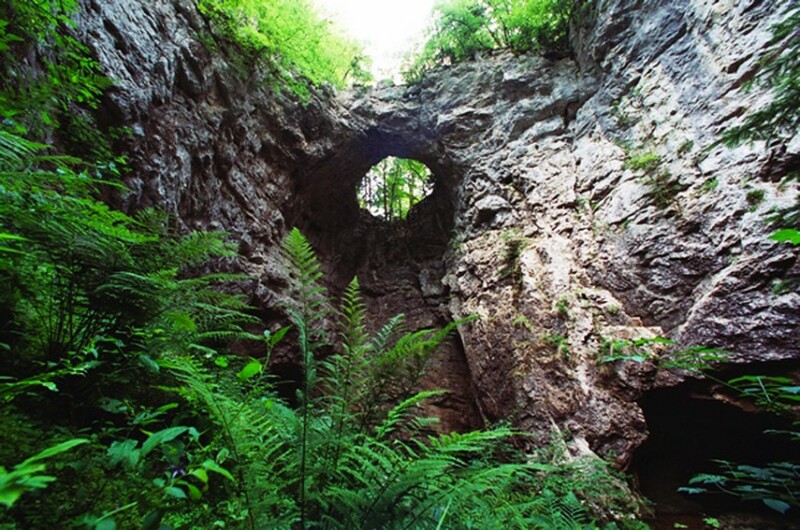 The Rakov Škocjan valley used to be a cave, but its ceiling has collapse forming the impressive Small Natural Bridge. The River Rak spring is located in the Zelške caves, the river runs on the surface for 3.5km and then disappears again in the Tkalca cave. 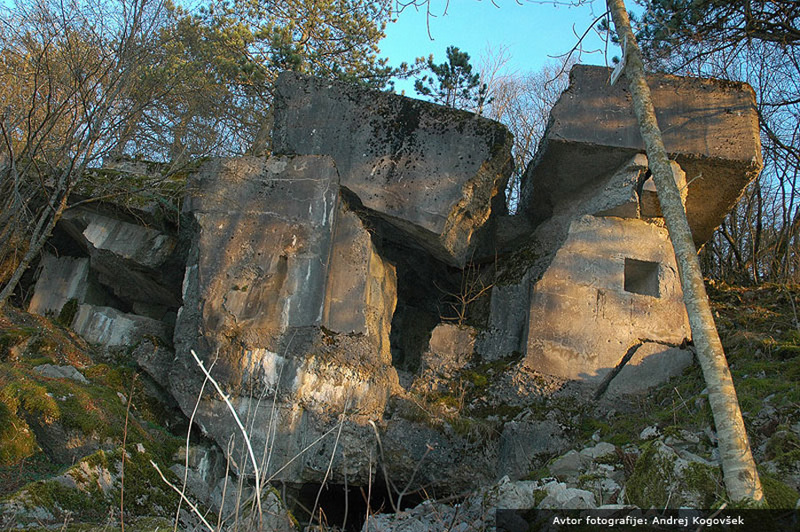 Rakov Škocjan is famous for its overhanging walls, collapse dolines, and two natural bridges. A Natural Theme Trail winds through the valley. 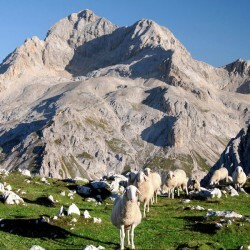 The Snežnik is not only the highest peak in karst but it’s also the highest non-Alpine mountain in Slovenia. 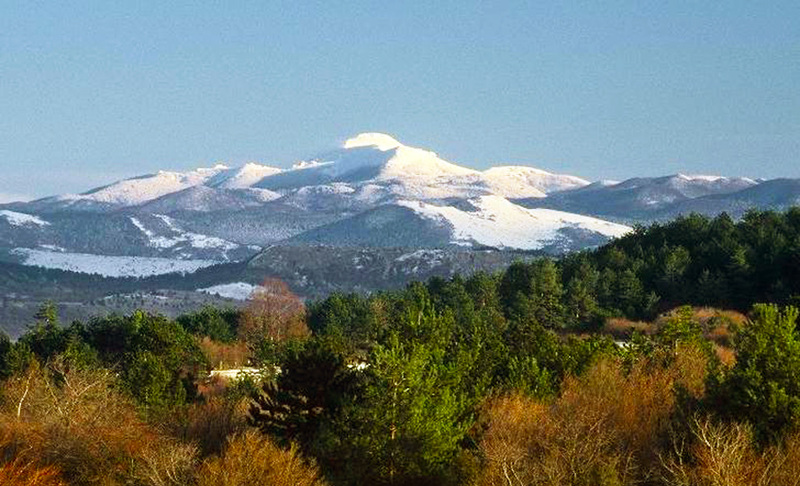 Its three peaks are covered with snow even in spring. 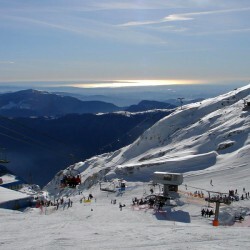 Snežnik is visible from most Slovene mountains. 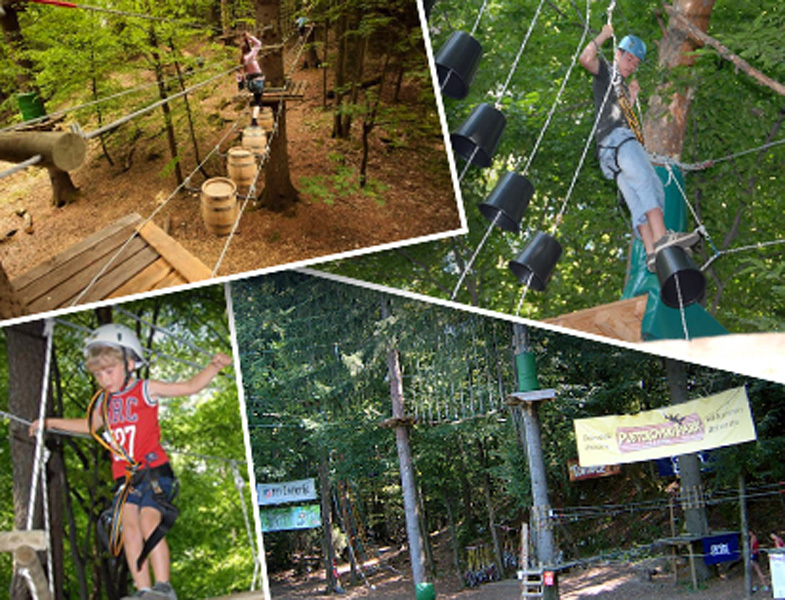 It is surrounded by breathtaking views of Istria and the Kvarner and Trieste gulf. 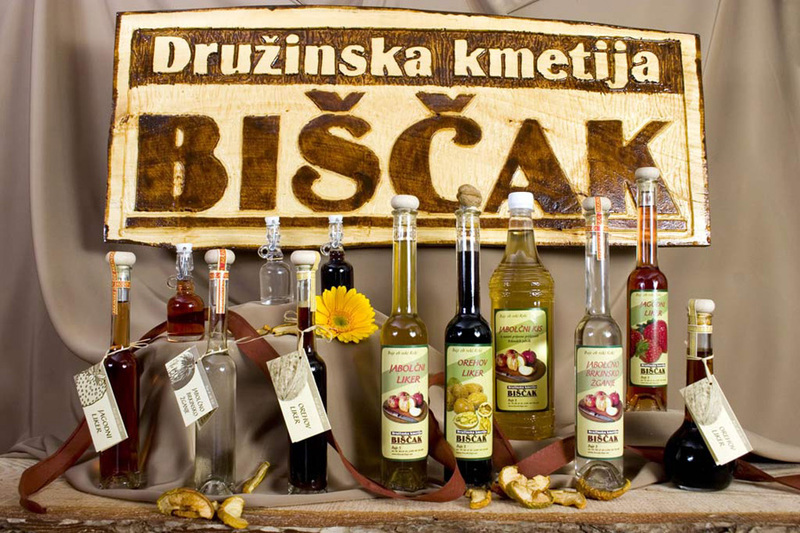 Due to its special natural beauty and rich vegetation, the peak of Snežnik has been protected as a botanical reserve. 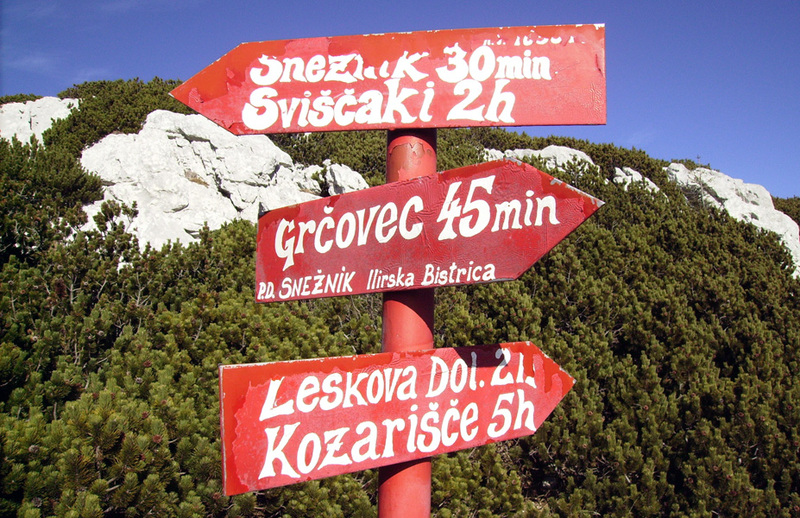 The most popular hiking path to Snežnik is the one from Sviščaki. 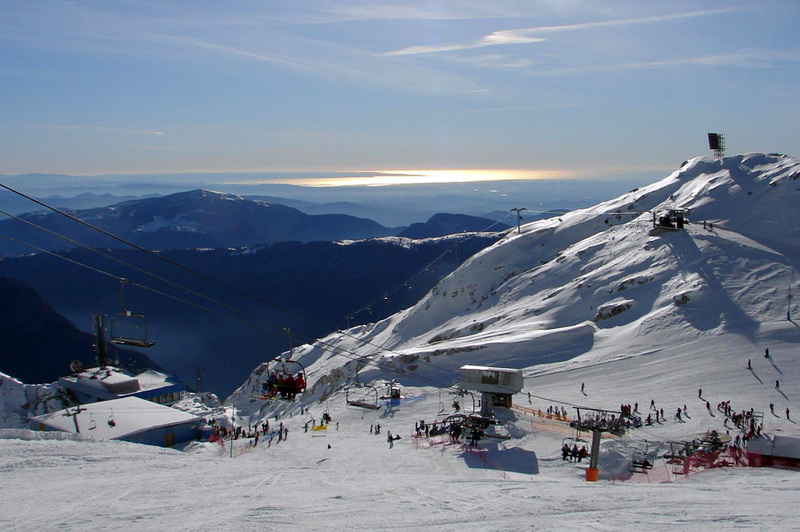 The Snežnik mountain hut offers refreshments and is also a resting point. 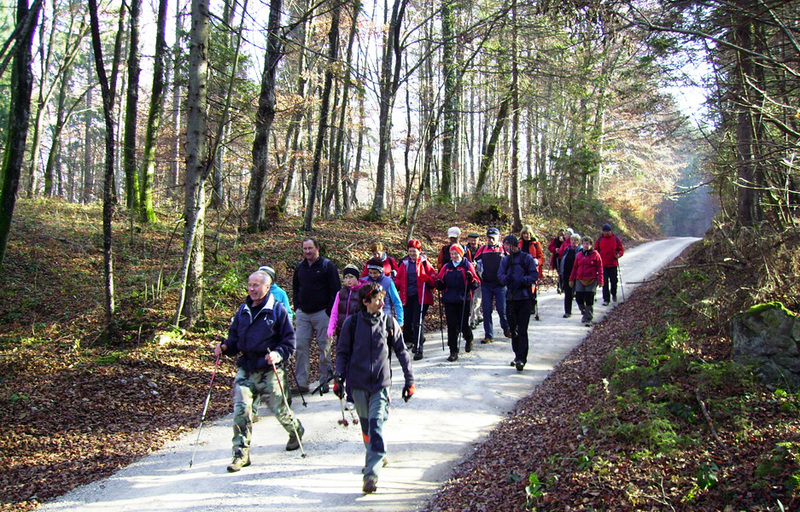 Sviščaki, lying in the heart of the Snežnik woods, can be the starting point of a mountain hike to Snežnik and different hikes through the Snežnik woods. 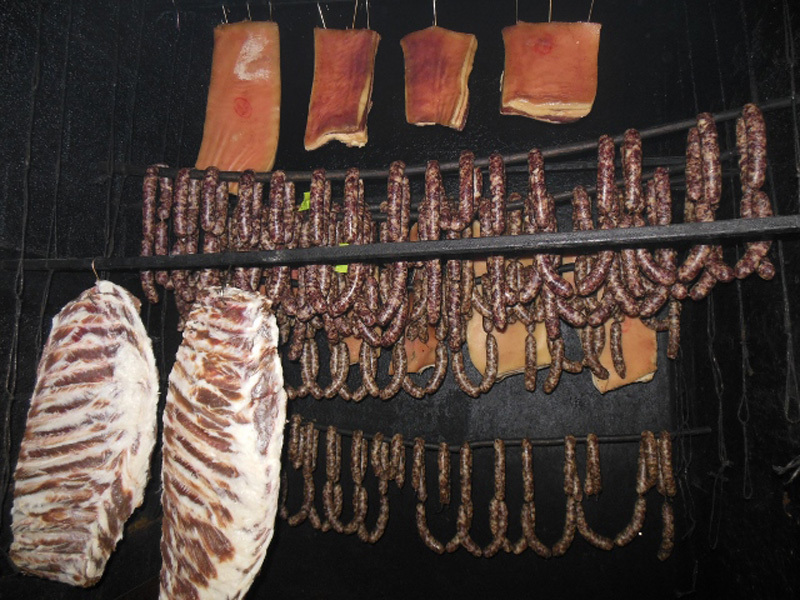 Sviščaki have a mountain hut offering local dishes as well as many sport activities – in winter a ski resort and cross-country skiing trails are open. The Mašun hill stands 1024m tall and is embraced by the Snežnik woods. Extensive spruce and fir forests are the main landscape feature. 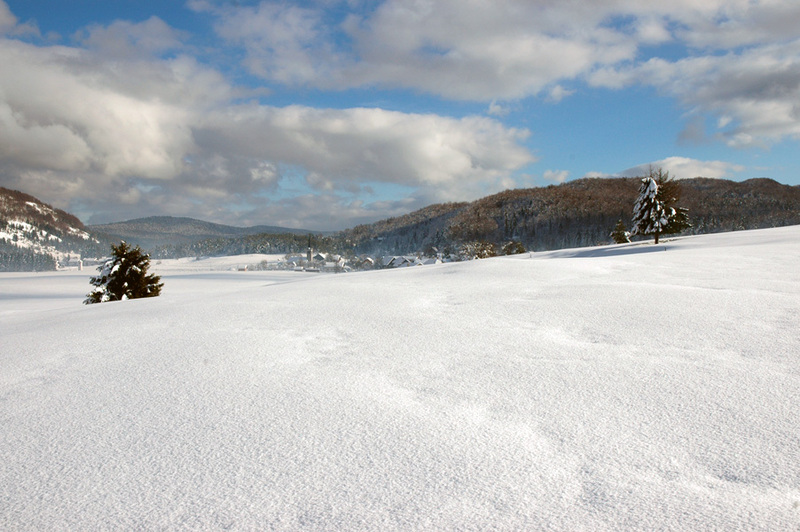 In winter the landscape is transformed into an idyllic, almost fairytale-like place covered with snow that can be enjoyed during hikes, sledding or cross-country skiing. 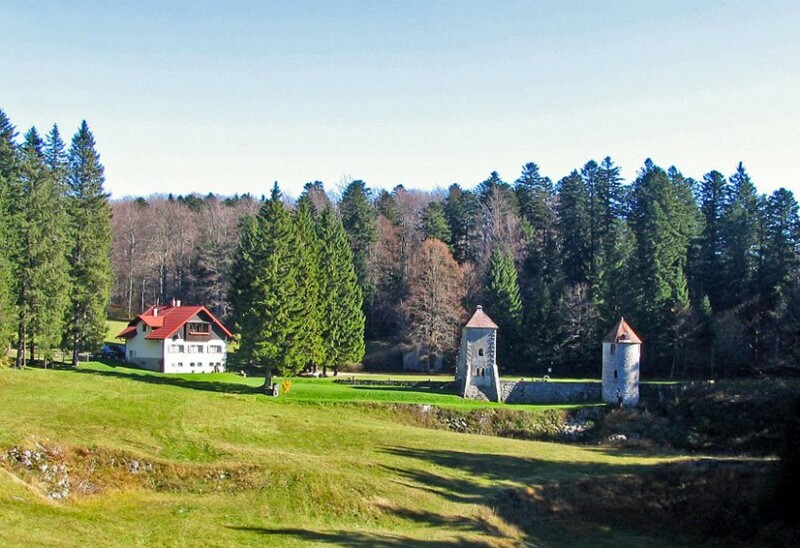 It is possible to visit the Snežnik hunting manor ruins or the renovated tower. 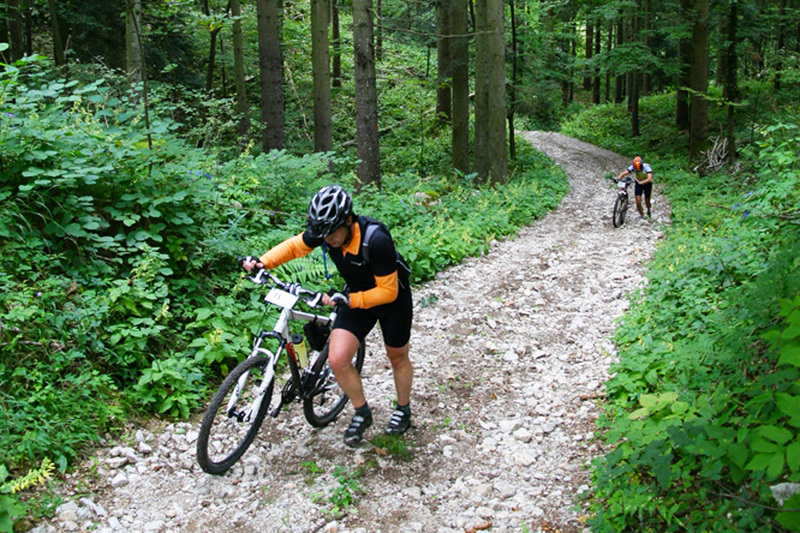 Many hiking and cycling trails are available, including the Mašun forest learning trail. 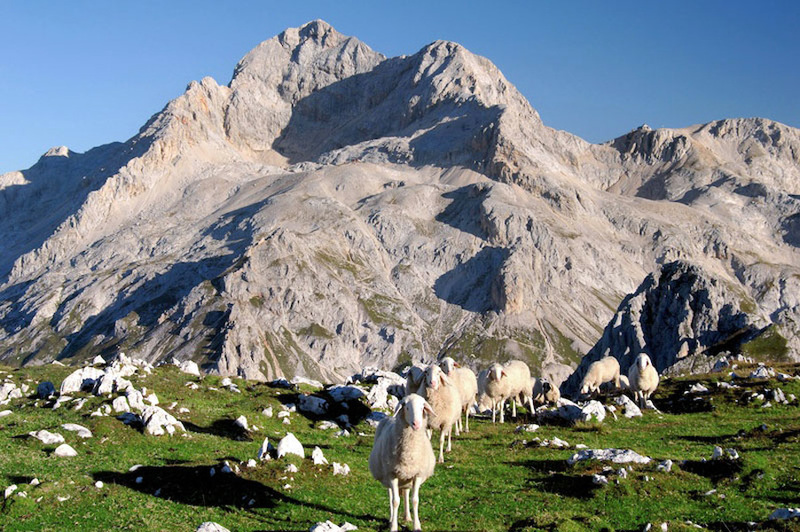 Mountain lovers can go on a four hour hike to Snežnik which mightiness can be observed from the viewpoint Anina skala in Mašun. 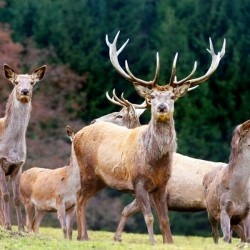 There is also a restaurant, famous for its excellent game meat dishes. 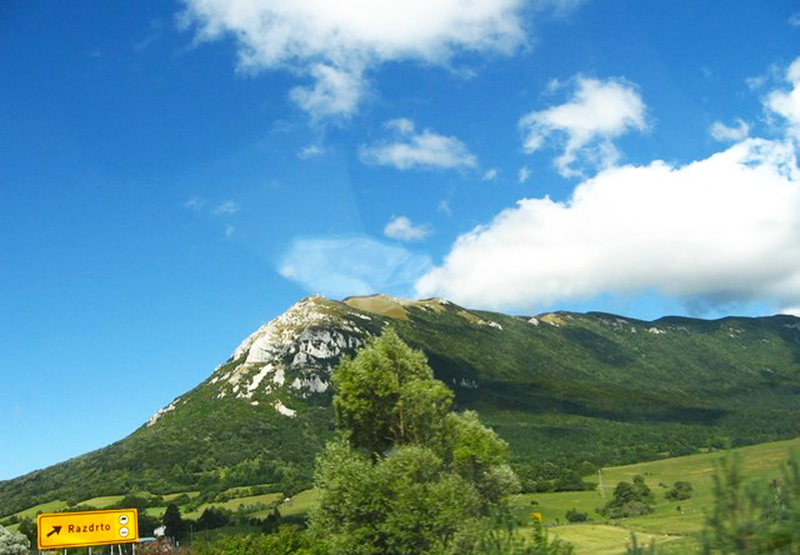 Nanos is a 12km long and 6km wide karst limestone plateau, dividing the continental Slovenia from its coastal region. 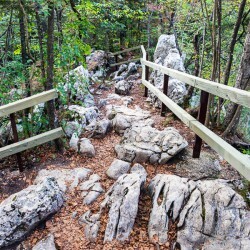 Many hike paths lead to the top of the plateau. 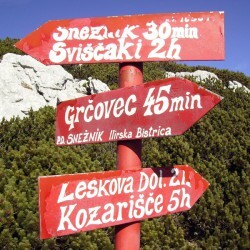 The mountain hut Vojkova koča which is open from June to September offers refreshments for hikers.